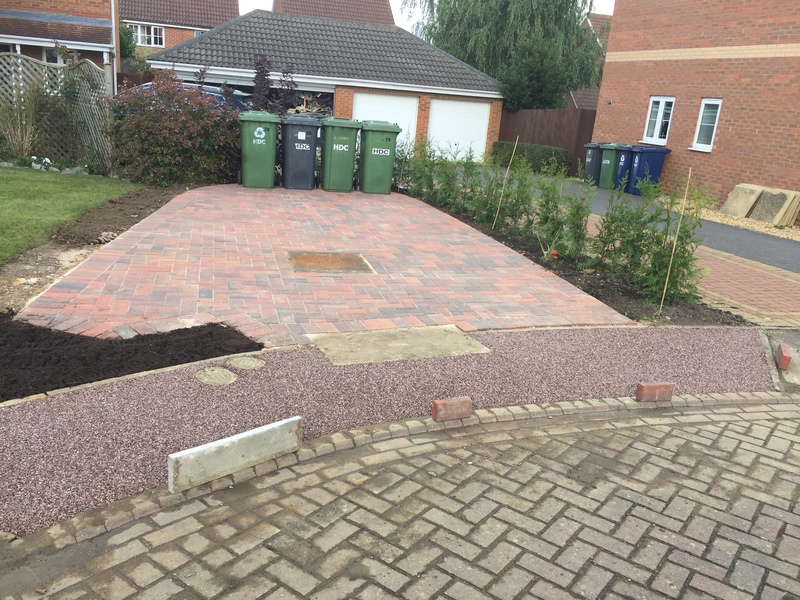 Our client in Yaxley wanted to increase the parking at a property she had recently moved into as well as add some fencing. A current gravel area of approximately 36 sqm was dug out, levelled and then turfed. 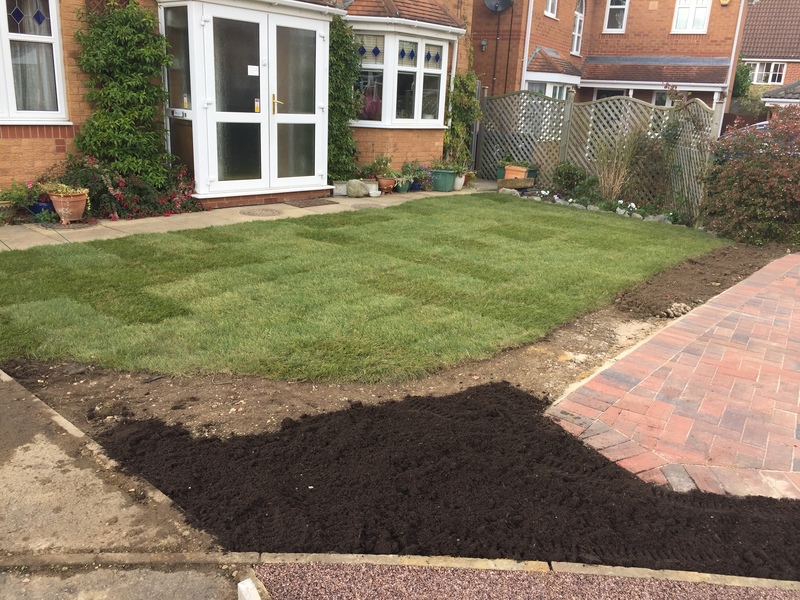 We then dug out a grass area further away from the house and prepared the ground for a block paving installation. 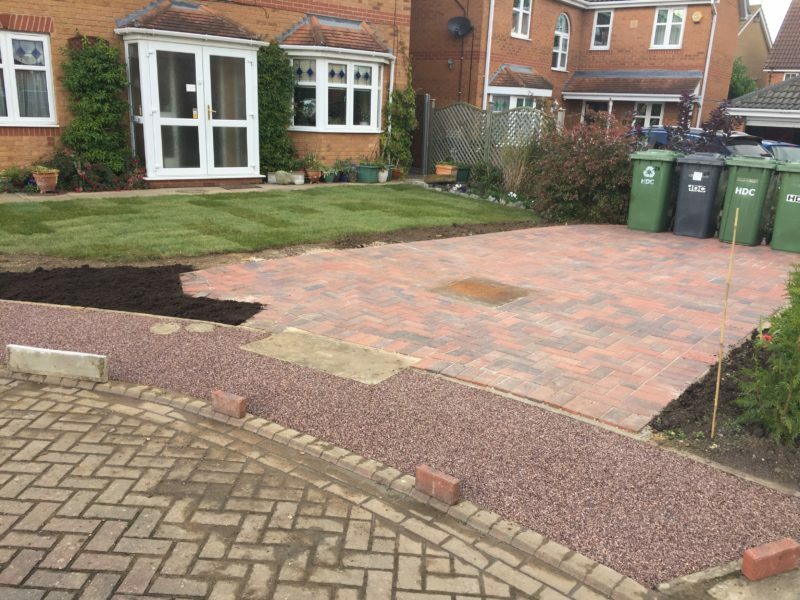 The drainage covers in the area were all at different angles so these were made straight and set into the block paving area. 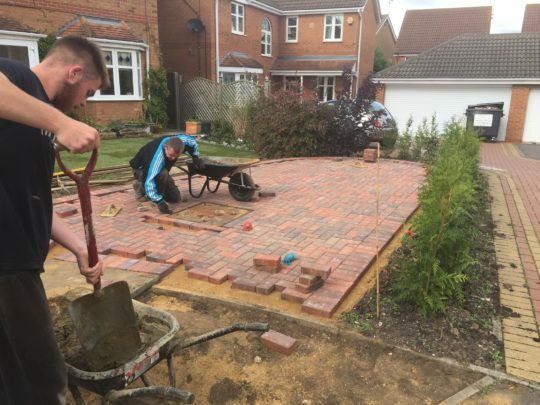 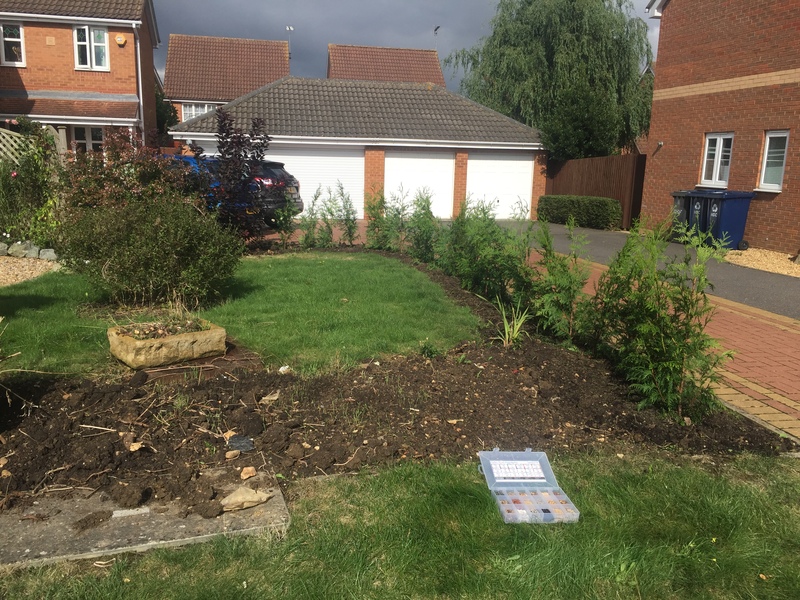 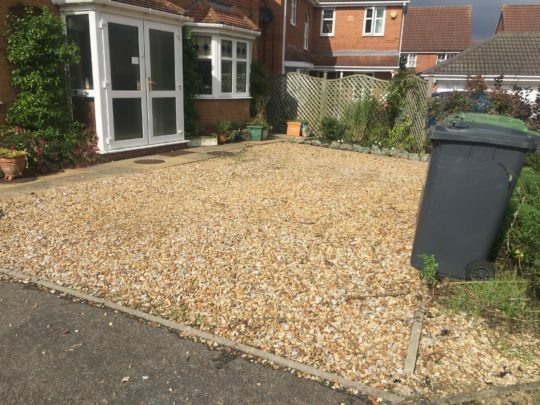 A prepared area of soil was purposely left between the newly laid lawn and the block paving for the customer to plant shrubs and flowers. To finish the project off we installed three new featheredge fence panels on concrete posts and concrete gravel boards to split the pathway around the side of the property between the client house and next door.